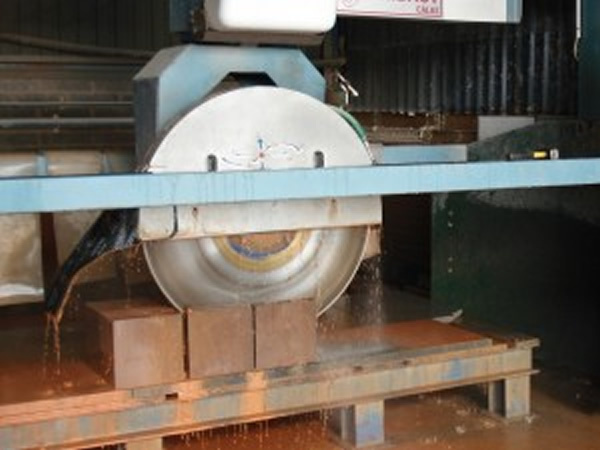 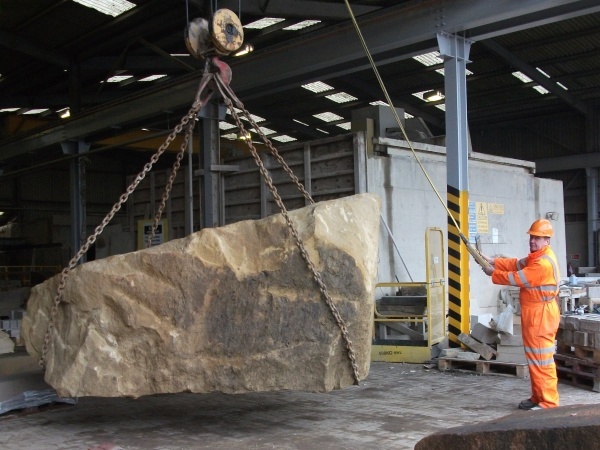 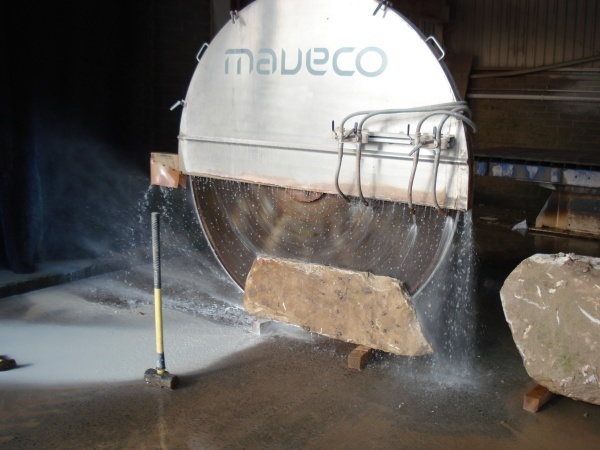 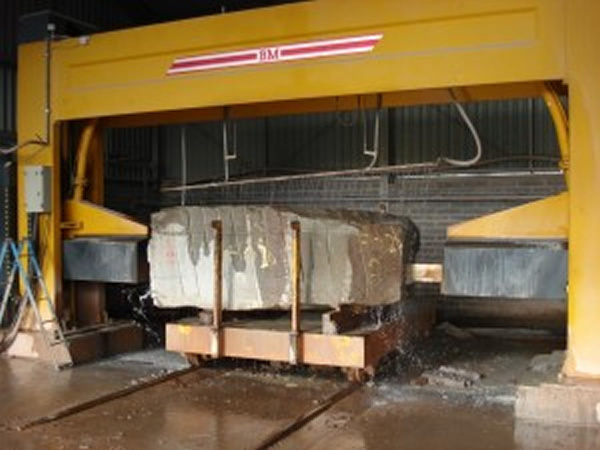 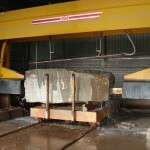 We have two sizeable production facilities, both with a significant range of modern stone cutting machinery and well equipped banker sheds for hand producing stone features and components. 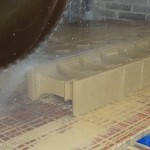 5-Axis CNC machine. 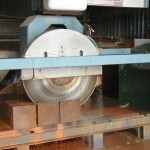 1metre blade. 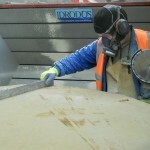 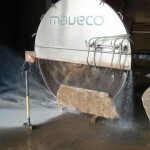 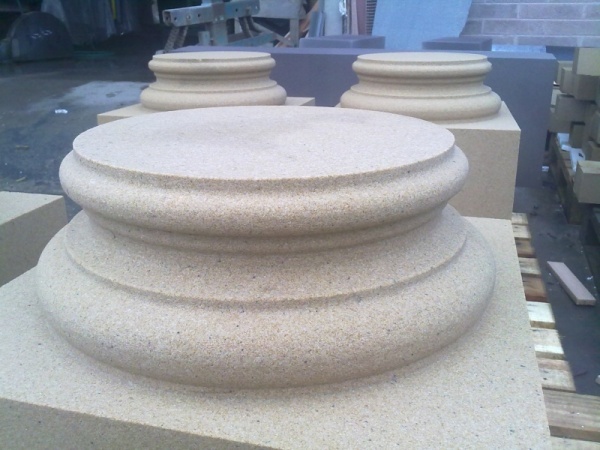 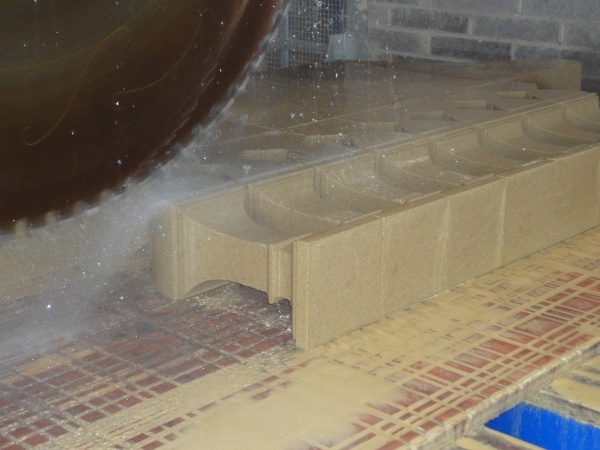 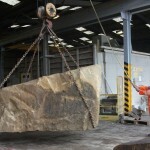 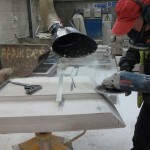 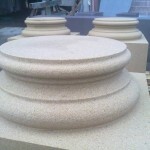 Stonemason using specialist powertool to shape stone. 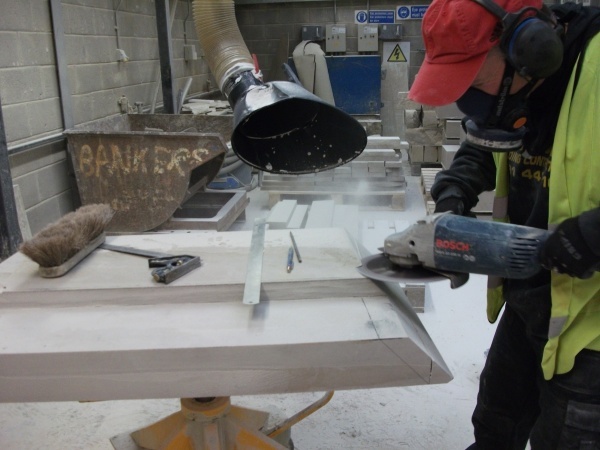 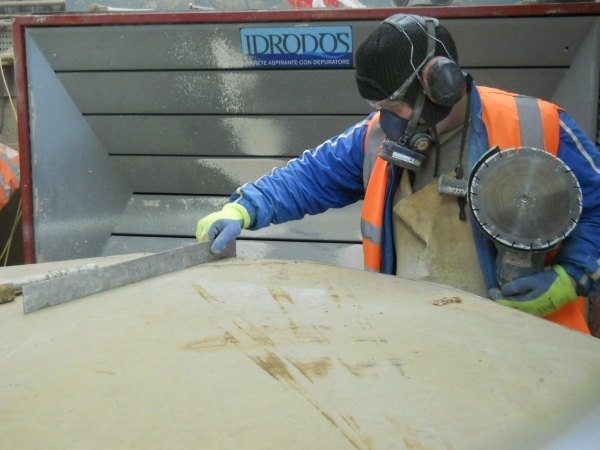 One of our highly skilled stonemasons producing a large statue plinth.